This rare piece of furniture is imported direct from Italy. 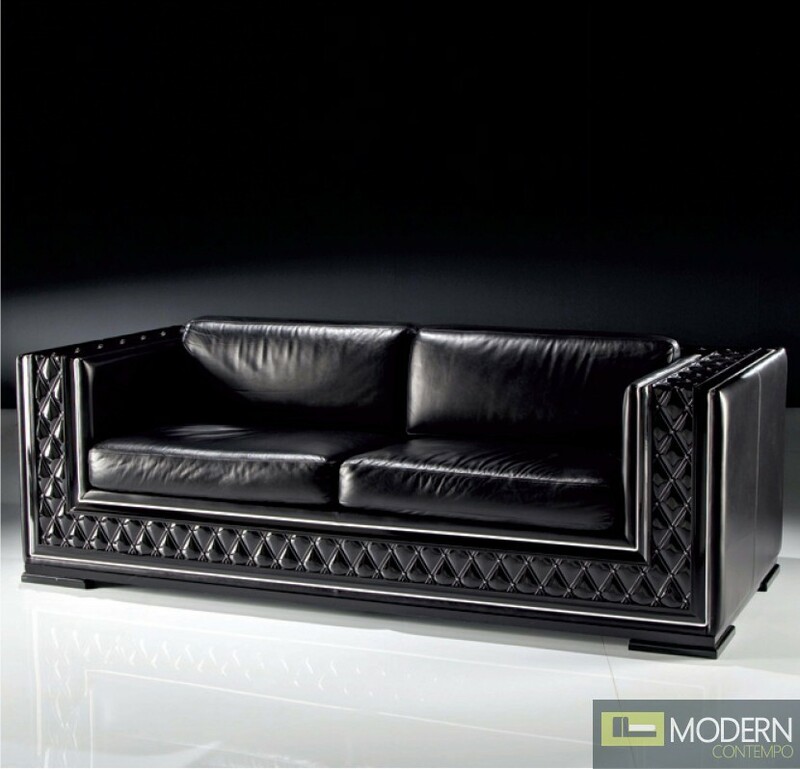 The Phedra Black Divan is an exquisite two-seater sofa which is upholstered in genuine, high quality leather in black. Throughout the design of the sofa is tufted accenting, complete with acrylic crystal gems.